Thanks to Dr. Sajna V.M. Kutty, Aster MIMS, Kerala (India) for contributing this case and Dr. Belinda Lategan, St. Boniface Hospital, Winnipeg, Manitoba (Canada) for writing the discussion. To contribute a Case of the Week, first make sure that we are currently accepting cases, then follow the guidelines on our main Case of the Week page. (1) We are changing the name of the Website News email blast to Monthly updates, to avoid confusion with the quarterly What's New newsletter. To subscribe to any of our newsletters, click on the Newsletters button in the Header or Footer. (2) March saw a record number of sessions (905,045) and page views (2,162,466). Traffic is up 23% from March 2017. We are nearing completion of our topic conversions to our new format and continue to add authors to keep the textbook up to date. Thanks again for making PathologyOutlines the #1 website for pathologists. A 43 year old woman with a history of right ovarian cystectomy underwent interval sterilization. Intraoperatively, bilateral hydrosalpinges and dense adhesions were noted. On macroscopy, one fallopian tube also had a thickened wall. Which of the following statement(s) are true in relation to xanthelasma of the fallopian tube? A. It is associated with chronic endometriosis of the fallopian tube. B. 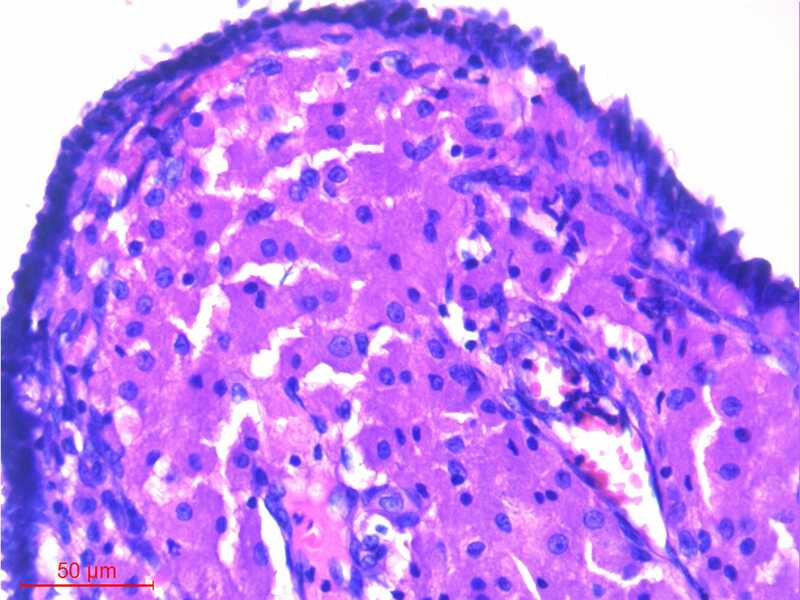 The accumulation of lipofuscin-laden macrophages and a chronic inflammatory infiltrate is a hallmark of this diagnosis. 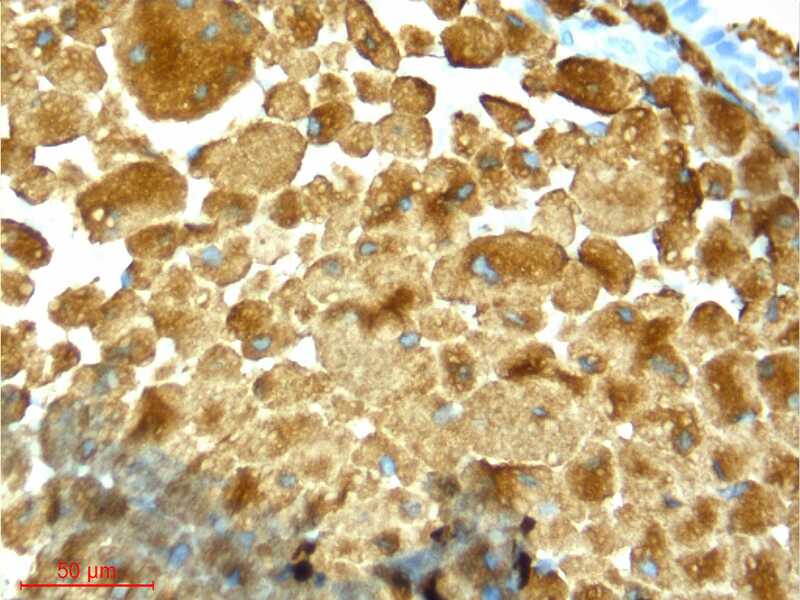 C. It is a localized collection of tissue histiocytes containing lipid and lacks a significant associated inflammatory reaction. D. The macrophages contain bacilli highlighted by acid fast stains (ZN and modified Fite stain). Xanthelasma or xanthoma, defined as localized aggregates of lipid-laden macrophages, is described in many organ sites, most commonly the GI tract (gastric xanthoma, colonic xanthomatous polyp) and skin. Although cutaneous xanthelasma is associated with systemic abnormalities of lipid metabolism, especially in younger patients, xanthelasma at other sites is not. 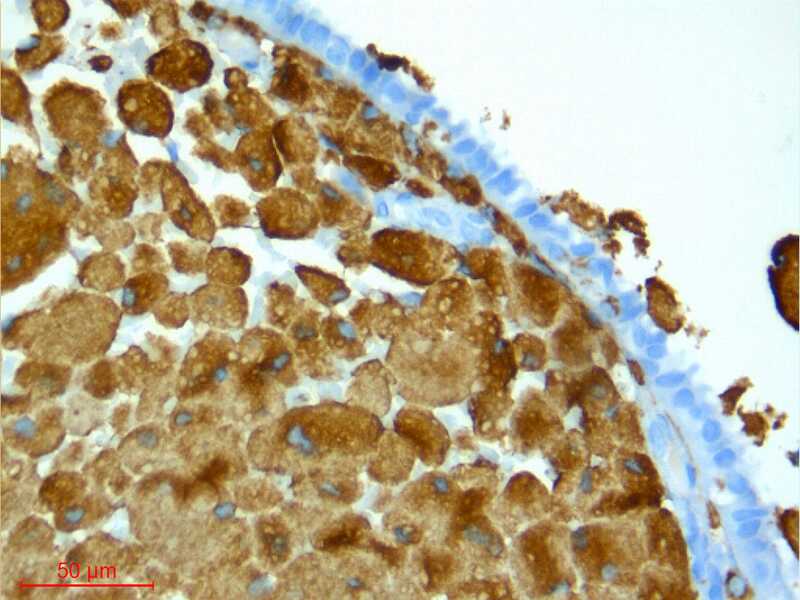 This case illustrates xanthelasma/xanthoma of the fallopian tube, incidentally found at tubal ligation. 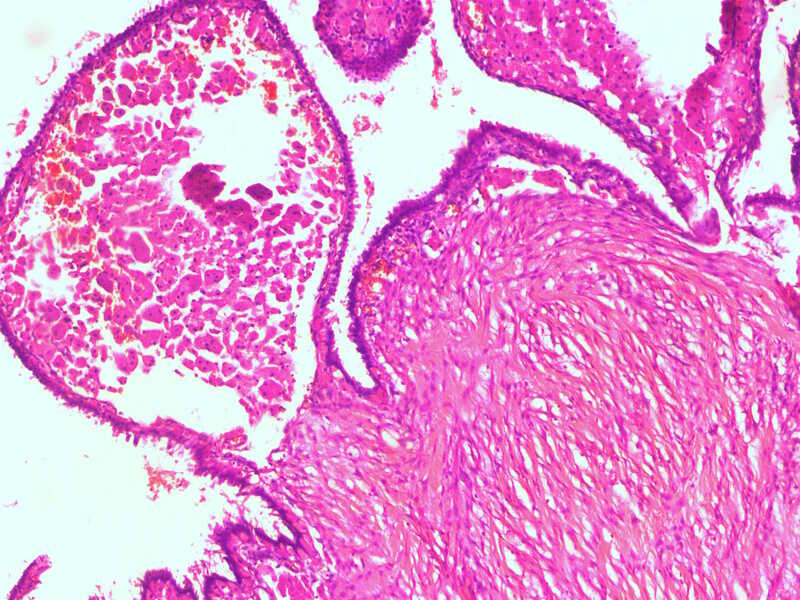 The thickened wall of one of the fallopian tubes contain aggregates of foamy histiocytes without any associated granulomatous inflammation, and no significant neutrophilic or lymphoplasmacytic inflammation. 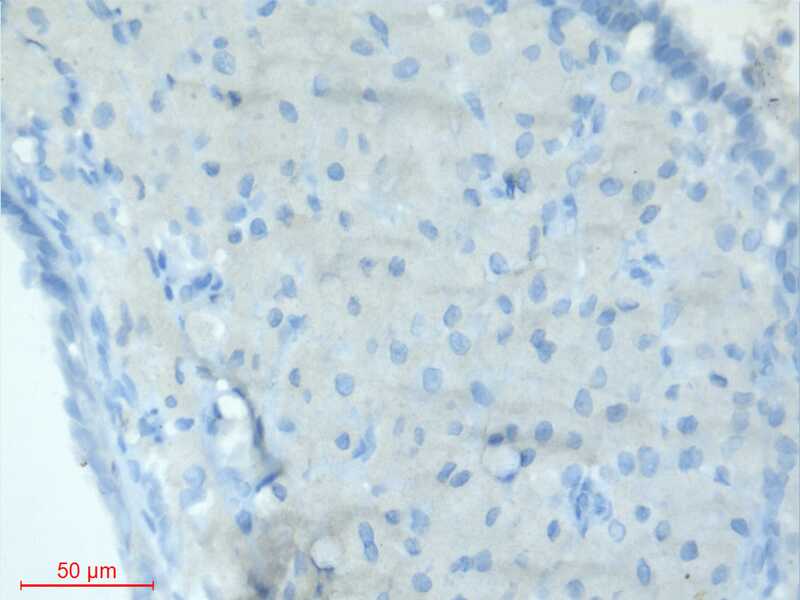 The lipid-laden cells are highlighted by CD68 but negative for keratins and inhibin (Arch Pathol Lab Med 2003;127:e417). The differential diagnosis for xanthelasma/xanthoma of the fallopian tube includes benign inflammatory entities in addition to malignancy. 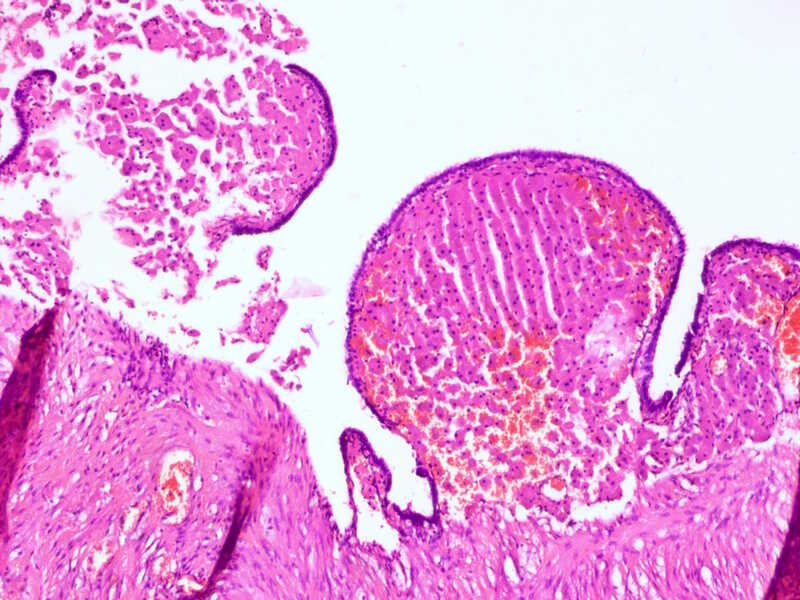 Xanthogranulomatous salpingitis is a destructive process of uncertain etiology in which foamy macrophages and lymphoplasmacytic inflammation accumulate in either or both fallopian tubes. It may present with symptoms of a mass lesion. Xanthogranulomatous inflammation may occur throughout the female genital tract (BMJ Case Rep 2015;2015:bcr2015210642 , J Cancer 2012;3:100 , Arch Pathol Lab Med 2001;125:260). Specific infectious organisms including mycobacteria may present with aggregates of foamy histiocytes. Special stains for organisms and correlation with the clinical picture aids in diagnosis. Malignancy, either primary from the female genital tract or metastatic from other sites, should also be considered. Metastatic lobular carcinoma of the breast (histiocytoid variant), may also present as aggregates of foamy or “histiocytic” cells. 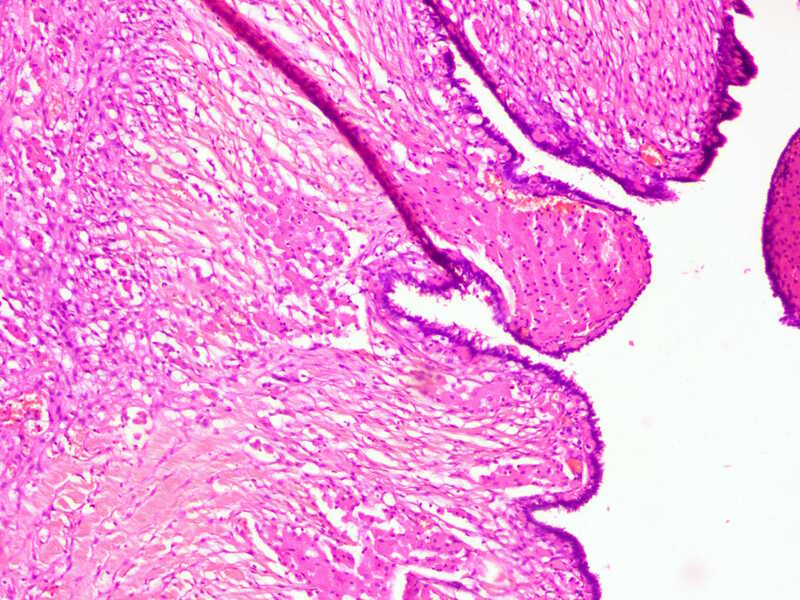 The clinical history and use of a keratin stain is helpful in ruling out this diagnosis. 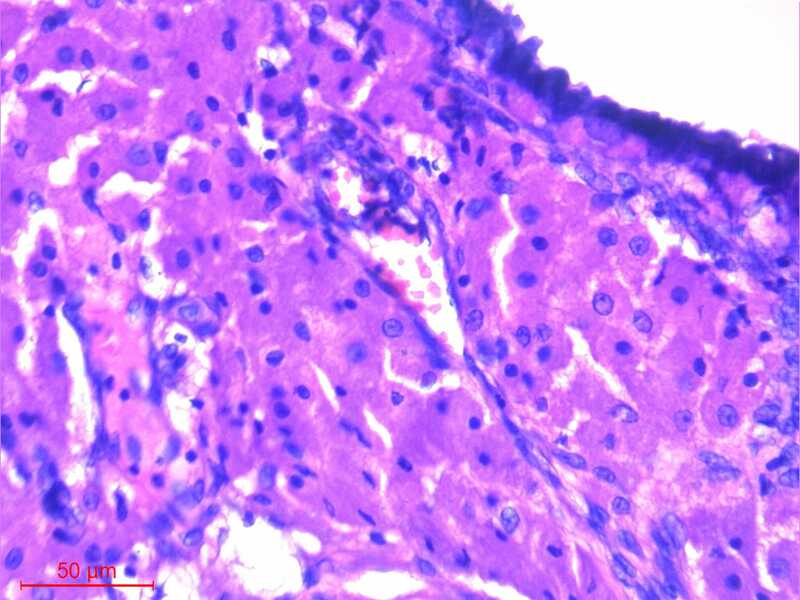 C. It is a localized collection of tissue histiocytes containing lipid and lacks significant associated inflammation.